Yeah Yeah Yeah Yeah #02: "Recording the Beatles"
“Recording the Beatles”: no Fabs library is complete without it. “Another book about the Beatles?” ask Brian Kehew and Kevin Ryan. “This many decades later, how much more of their story needs to be told?” A worthwhile question, and all the more so because the two men asking it wrote their own book about the Beatles, and pose the question themselves in their own introduction. Maybe they’re right to do so — neither of the writers tapped to provide the book’s forewords, EMI engineer Ken Townsend and Beatles scholar Mark Lewisohn, can refrain from making similar points even as they refute them (“sure there are all kinds of Beatles books, but this one is different!”). We have reached a particular point in Beatles scholarship, Beatles publishing, Beatles logorrhea or whatever you choose to call it, a point at which we must acknowledge that the low-hanging fruit has been picked, and wonder how much intellectual energy can rightly be devoted to a pop group, even one with the far-reaching impact of the Beatles. Well, you can likely guess where I fall on the question. I have been a rabid Beatles fan since I was in my teens, and while my tastes and listening habits have evolved (and occasionally regressed) over the years, I’ve never stopped listening to them, never grown tired of their music or their story. While every fan grasps it instinctively, it often goes unsaid that the Beatles’ story itself, the remarkable account of their coming together, their extraordinary peak and their inevitable decline, has the satisfying emotional sweep of a great epic. It has unforgettable characters, dramatic reversals and heroes brought down by their own flaws. If it were a novel, you couldn’t put it down. And like a great novel, every new foray into the tale brings you closer to understanding it without ever quite taking you all the way. There always feels like there’s something left to learn, some key insight that will make this unlikely, nearly impossible phenomenon appear vuesca. That, I suppose, is the high-falutin’ reason why I wanted to do this column, and why Popdose’s sage editor Jeff Giles encouraged me by noting that “people never, ever, ever get tired of talking about the Beatles.” No we don’t, do we? Now, as regards Beatles books, despite what I said above I am actually more of a fussy eater than an omnivore. While the number of published titles alluded to by Kehew and Ryan is likely unknowable, it easily stretches up into the high hundreds, and I have always believed that Sturgeon’s Law applies as well to Beatles-related writing as it does to any other form of expression. So I have picked and chosen finickily (let’s pretend that’s a word) in stocking my Beatles bookshelf, and so have ended up with a collection that, while still growing, hits the high points while avoiding the obvious cash-ins. Many of these titles are ones that every fan has or has read: the Anthology, Revolution in the Head, The Beatles Recording Sessions and The Complete Beatles Chronicle, as well as many individual biographies and tales told by various associates. But I do want to occasionally yield the spotlight, as it were, and highlight some books that may have flown a bit under the radar, which brings me to this month’s selection: Recording the Beatles: The Studio Equipment and Techniques Used to Create Their Classic Albums, by the aforementioned Brian Kehew and Kevin Ryan. These guys aren’t kidding around. This may be the most extensively, minutely researched book about the group I’ve ever read. The first thing to note, because Amazon does not make this at all apparent, is that this is as much a collector’s object as a book. It ships in a box designed to mimic the style of an EMI tape box and is packed with supplementary goodies, including a poster of the Beatles’ mixing console and reproductions of various studio docs and correspondence. But the real goodies are between the covers. This book is gorgeous. Every microphone, mixer, limiter, monitor and flange box is lovingly depicted in both vintage photos and full-page beauty shots worthy of a museum catalog. 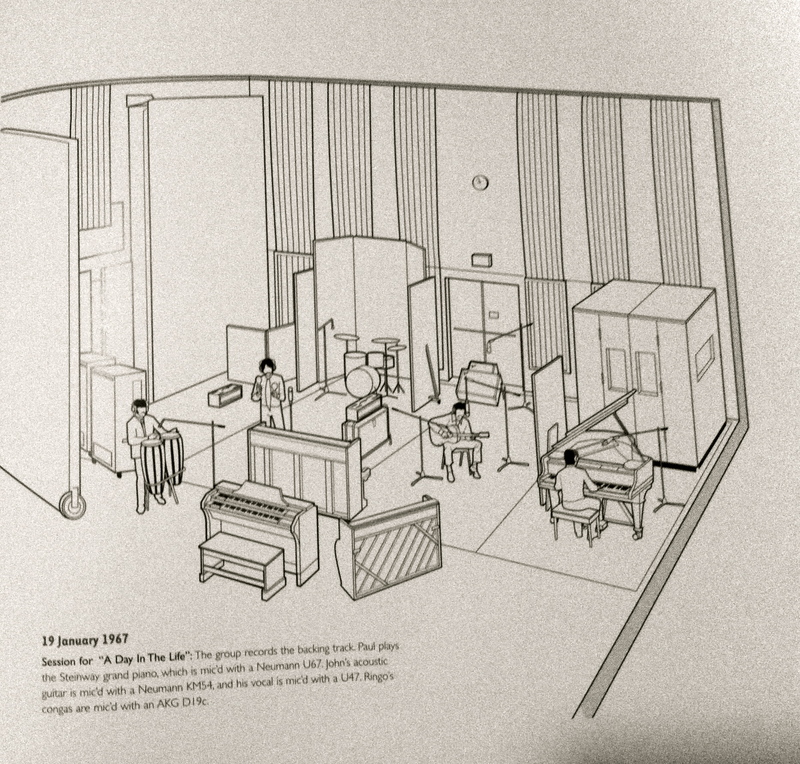 The text explains what each piece of gear did and how it contributed to the Beatles’ overall sound. Is it technical? Is it ever, and I can imagine some fans more interested in the human side of the equation finding this all a bit much — or, indeed, a lot much. For the rest of us, it examines an often-overlooked aspect of the Beatles’ history in a way that’s comprehensive and utterly definitive. It bears repeating that this book deals with the Beatles’ recording process on an extraordinarily technical level, and much of the detail may seem arbitrary or meaningless to anyone other than a producer or engineer. That isn’t really a criticism as much as an observation; far better that the book err on the side of completeness rather than skimp on the specifics, and it’s easy to skip around to the parts that interest you (in fact, it was designed to be easily browsed and does not suffer from being read out of order). If I had to critique it, my main beef would be that, being a large, square book of more than 500 heavy pages, it is physically difficult to actually hold and read. The inclusions (posters, postcards et al) are fairly pointless, and I would have liked to see more individual songs profiled in the last section. You should also know that amid this avalanche of detail, the Beatles’ own instruments are not included (you can read Andy Babiuk’s Beatles Gear for that stuff). Small potatoes, though: this really is an essential addition to any Beatles library. Just make sure you have a sturdy shelf to put it on. Next month: the “Think for Yourself” session.